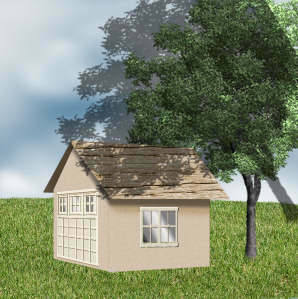 This tutorial illustrates how to apply shadows to objects outdoors. Start with an new image. Make it size of your intended fnished product. 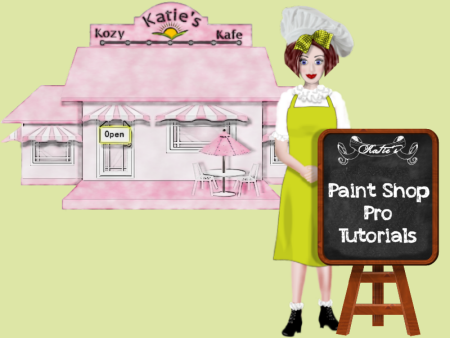 Apply your sky background, grass, building, tree, etc., in single layers. 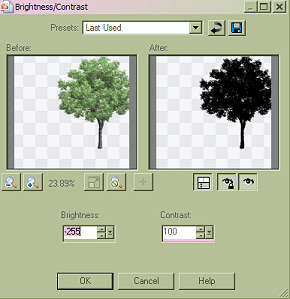 Duplicate your tree layer and bring it to the top of your layers. 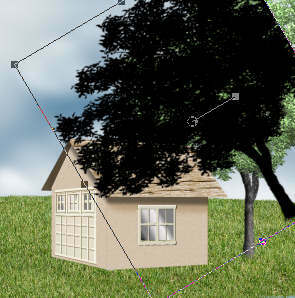 Select the rectangle tool and pull out on side and top nodes to stretch it. 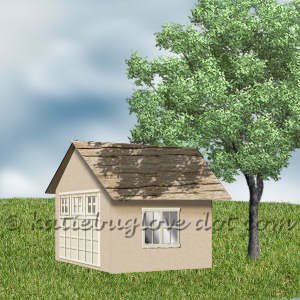 Rotate it a little so that if covers as much of the roof (or the object you are shading)as you would like. Now choose the Invert tool and then activate the tree shadow layer. Now hit the Delete key. Deselect. 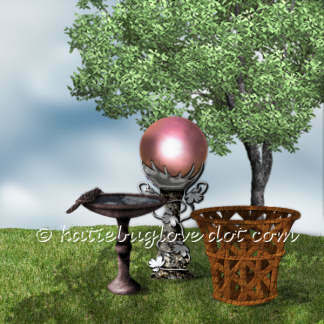 I used a simple object here to illustrate how this effect works. 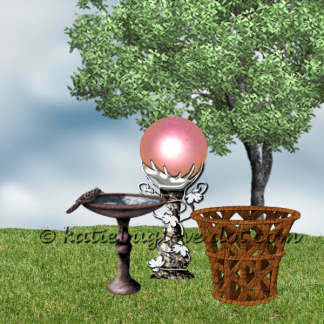 The examples below show the before and after with the shading applied to a few objects and the grass.